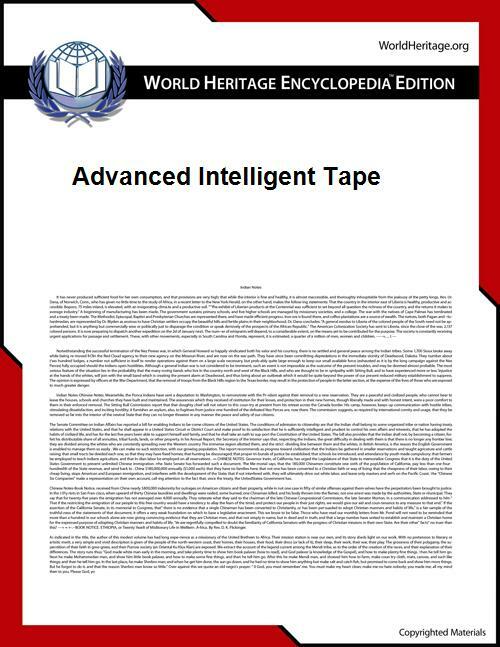 Advanced Intelligent Tape (AIT) is a discontinued high-speed, high-capacity magnetic tape data storage format developed and controlled by Sony. It competed mainly against the DLT, LTO, DAT/DDS, and VXA formats. AIT uses a cassette similar to Video8. Super AIT (SAIT) is a higher capacity variant using wider tape in a larger, single-spool cartridge. Both AIT and SAIT use the helical scan method of reading and writing the tape. AIT technology was available in two form factors. AIT – 8 mm, dual reel cartridge, similar to Sony's 8 mm videotape products and Exabyte's 8 mm data tape products. SAIT – 1/2", single reel cartridge, similar to DLT and LTO. One of the most compelling features of the AIT format is that many generations are both backwards and forwards compatible. This allows multiple generations of tape drives to both read and write to multiple generations of tape media. Original specification's data capacity is 25 GB, with a data transfer speed of 3 MB/s. Extended length tape, introduced in 1999 gave additional capacity, 35 GB. Turbo variant, introduced in 2004, is 50% faster (6 MB/s) and holds 40 GB. SATA version of AIT-1 Turbo available in 2006. Higher capacity TAIT2-80N (Turbo) 80Gb native. Announced July 2006, hardware and media expected "in the fall." Doubled capacity (via halved tracked pitch to 2.2 μm), maintained transfer speed. New tape formulation, AME-3, which uses finer Cobalt particles resulting in SNR gain of 1 dB compared with AIT-4/AME-2. A switch to GMR head technology (Flux Guide GMR). Comparison of "supertape" capacities, including SAIT. 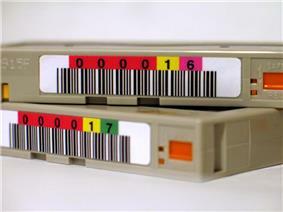 Highest capacity tape cartridge from 2003 to 2006. Displaced by DLT-S4 (800 GB). The AIT format was developed and is controlled by Sony. Released in 2006 by Sony, available only in libraries, 800 GB native and 45 MB/s sustained transfer rate. Data Capacity and Speed figures above are for uncompressed data. Sony assumes a 2x or 2.6x compression factor in their marketing material. According to Sony, "All future products are based on technology projections." Advance Metal Evaporated is a different formulation of tape media. Memory in Cassette Memory chip in the cartridge that keeps relevant information about the tape. Remote - Memory in Cassette Like MIC except it doesn't require physical contact. Write Once Read Many functionality, useful for archive keeping. ^ "Sony announces availability of its fifth generation tape drive and media in celebrating 10 years of AIT" (PDF) (Press release). Sony. September 27, 2006. Archived (PDF) from the original on 28 September 2007. Retrieved 2007-10-15. ^ "SAIT2-800". Sony. Retrieved 2007-01-30.